Maybelline X Puma SuperStay Matte Ink Liquid Lipstick - Drench your lips in up to 16 hours of super saturated matte color! 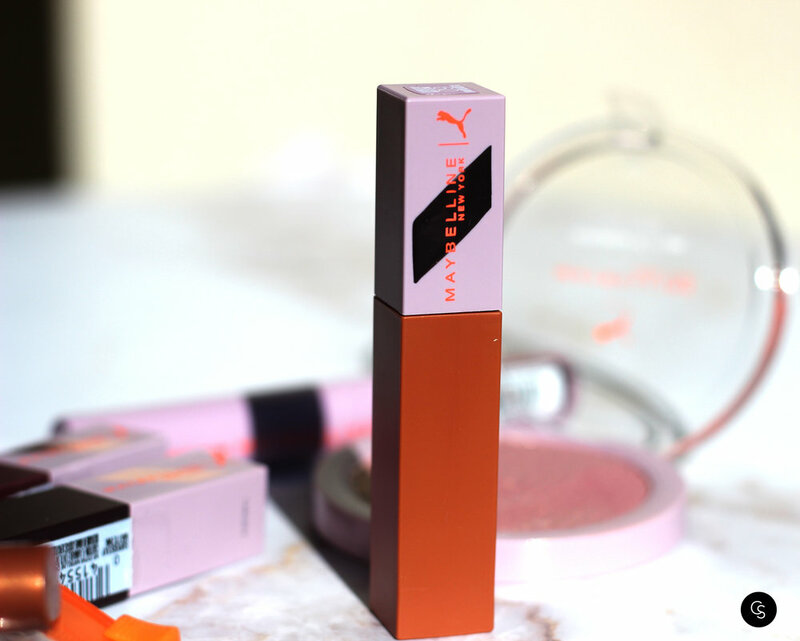 Puma X Maybelline SuperStay Matte Ink Liquid Lipstick has a long-lasting formula that achieves an intense matte finish in five shades: Fierce, Fearless, Epic, Unstoppable, and Unapologetic. This highly pigmented liquid matte lipstick features a unique arrow applicator for precise application. Maybelline X Puma Matte + Metallic Eyeshadow Duo Stick - One side matte and the other metallic, the multitasking Puma X Maybelline Matte + Metallic Eyeshadow Duo Stick delivers a lightweight finish featuring waterproof, up to 24-hour wear. This fierce eyeshadow duo stick is available in a range of Limited Edition shades - Discipline and Pulse, Warrior and Flow, Goals and Courage, Heat and Flash. Shop this collection at Ulta!